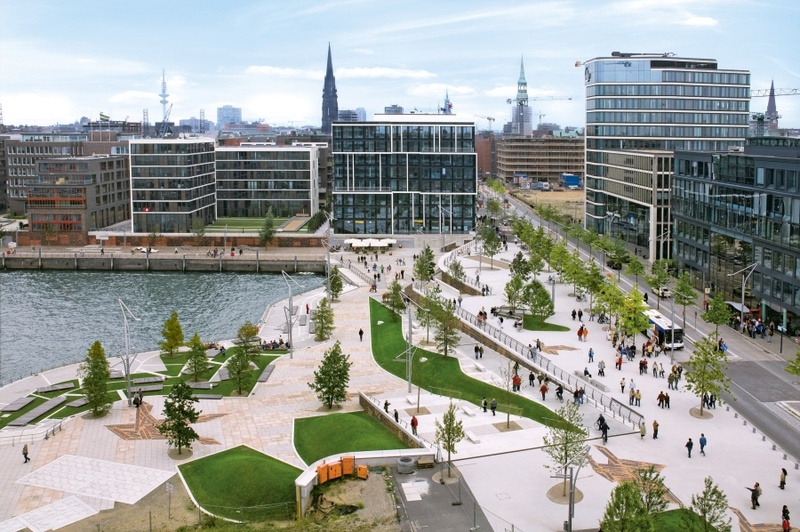 HafenCity’s development initiated by the City of Hamburg is setting new European standards: a thriving 155 hectare city center district is being created to accommodate a variety of uses including residential buildings, business, office and retail space as well as cultural and leisure facilities. However, HafenCity not only impresses because of its size. What makes this project different from similar urban redevelopment projects elsewhere is its city center location and consistent focus on quality, which is reflected by its architectural excellence, its large percentage of residential buildings, living directly by the waterfront, its sustainable development concept, benchmark-and setting implementation processes. 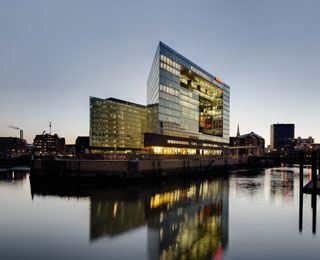 HafenCity will expand downtown Hamburg by 40 percent in about 20 years. With roughly 1.7 million residents in the central city and 4.2 million people living in the metropolitan area, HafenCity will have major impact on the entire city, turning Hamburg into an increasingly more powerful competitor on the European scene. The tour of HafenCity West sets off from the Kesselhaus, a former boiler house, at the heart of the emerging HafenCity. Before leaving here, we will use the model of the city to point out the current and future planning processes for the 155-hectare HafenCity. We will begin the tour by looking at the developments along the harbour basin at Sandtorkai. 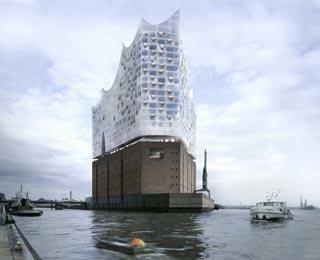 From here, we continue across the Magellan Terraces to the Elbphilharmonie concert hall. Walking along Kaiserkai, we arrive at the Marco Polo Tower designed by Behnisch Architekten. The tour then continues on to the Unilever headquarters, passing through Grasbrook and Sandtor parks and reaching the Katharinenschule school. The aim of this tour is to demonstrate the ongoing rebirth of the former harbour area as a modern residential and business district.